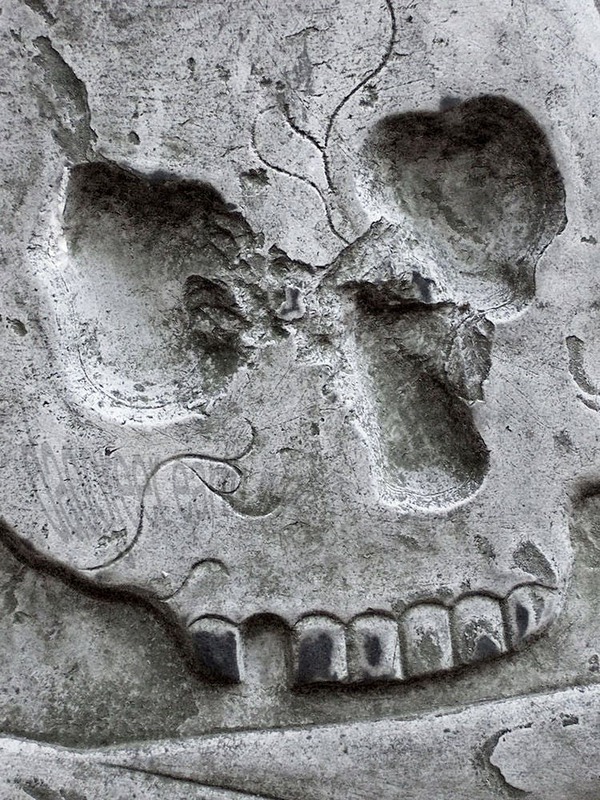 A close-up of a headstone in the Granary Burial Ground, Boston's 3rd oldest cemetery (founded in 1660). The cemetery contains such American Revolutionary notables as Samuel Adams, Paul Revere, and John Hancock. I found this headstone particularly interesting because of the missing tooth. The tooth did not fall out by virtue of age, though it is an old headstone. The tooth was carved as missing. Photograph was taken in Boston, Massachusetts, USA.